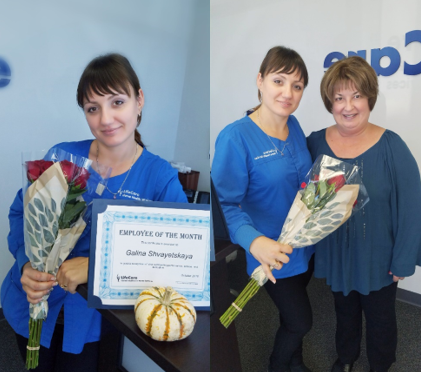 Galina Shvayetskaya is this employee of the month, she is a valued team member and provides quality care to patients, she’s always interested in learning and helps team members out whenever asked. Most recently she agreed to travel 15 miles out of her territory daily to cover patients for another nurse. Thank you so much for all you do Galina!